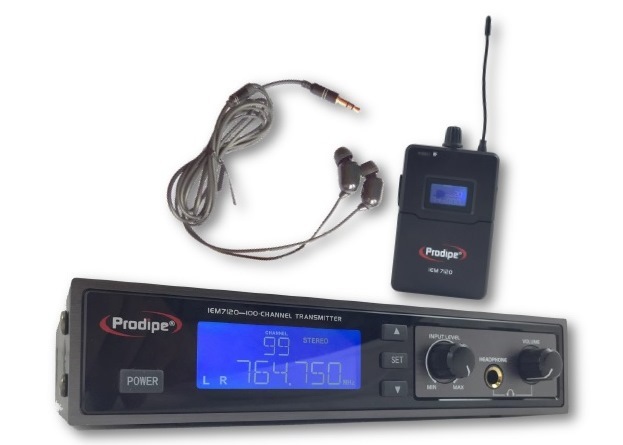 Die Neue Prodipe In-ear monitors IEM 7120 Wireless Monitors System. 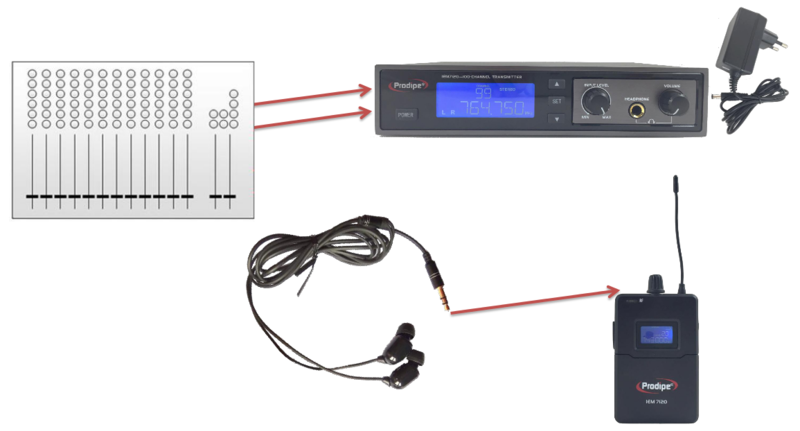 Ein UHF-In-Ear-Monitoring-System mit UHF System mit 100 Frequenzen. Automatischer Suche und Einstellung der verfügbaren Frequenzen, zur gleichzeitigen Verwendung von bis zu 10 Systemen vor. Frequency range: 600MHz - 670MHz. In-ear monitor Prodipe IEM3 included. Retail Price - Prix Client : 221,91 CHF inkl. MwSt. What’s the secret behind our exceptionally low prices? All our expertise goes into keeping prices as low as possible: fewer middlemen in the distribution chain, streamlined manufacturing costs and maximum impact, minimum outlay marketing budgets. The result: ultra-pro, affordable products that rival the best in the market. First there’s the sound: our job is to come up with products that offer irreproachable quality. And as always this has been our aim for the IEM 7120. With the help of Ludovic Lanen, we’ve created a UHF personal system (120 frequencies) for simultaneous use with up to 10 other systems. The sound is pure – and 100% fidelity to the source. Body-pack for in-ear wireless monitor system IEM7120. In-ear monitor Prodipe IEM3 included.